Just like Boruto and his comrades, an investigational team from the River country is studying the birds who have become ferocious due to the cursed seal. Juugo was captured by them. 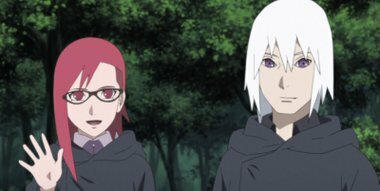 In order to not increase the damages due to the cursed seal beyond what’s already happened, Boruto and his comrades say that Juugo’s power is still necessary. Despite appealing to the investigational team from the River country, they are treated with contempt.